From beginning to end, Andrea Bonelli takes pride in being the only person to design, forge and finish each and every Eco-Friendly piece in her collection. Being a self taught jewelry designer, she believes that the best way to accomplish her artistic vision is to challenge herself to learn as she creates her sustainably sourced pieces. Because she is continuously focused on broadening her skillsets by finding new and exciting textures and techniques to work with, Andrea Bonelli’s designs are sure to always inspire and excite. 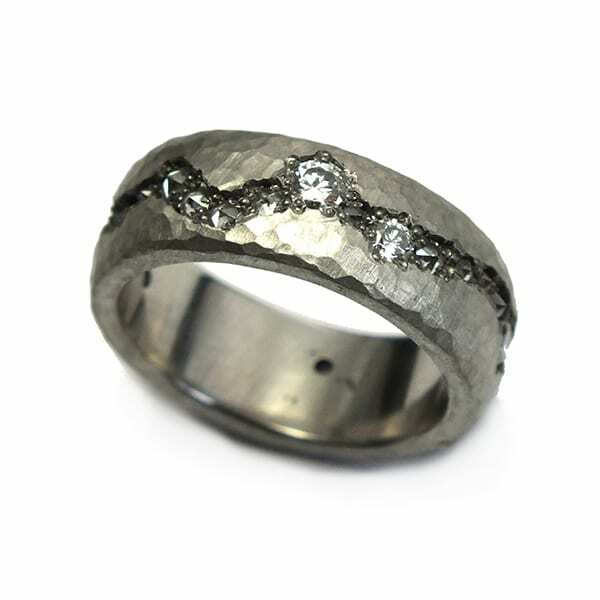 Andrea Bonelli is a member of Ethical Metalsmiths and uses recycled materials wherever possible.